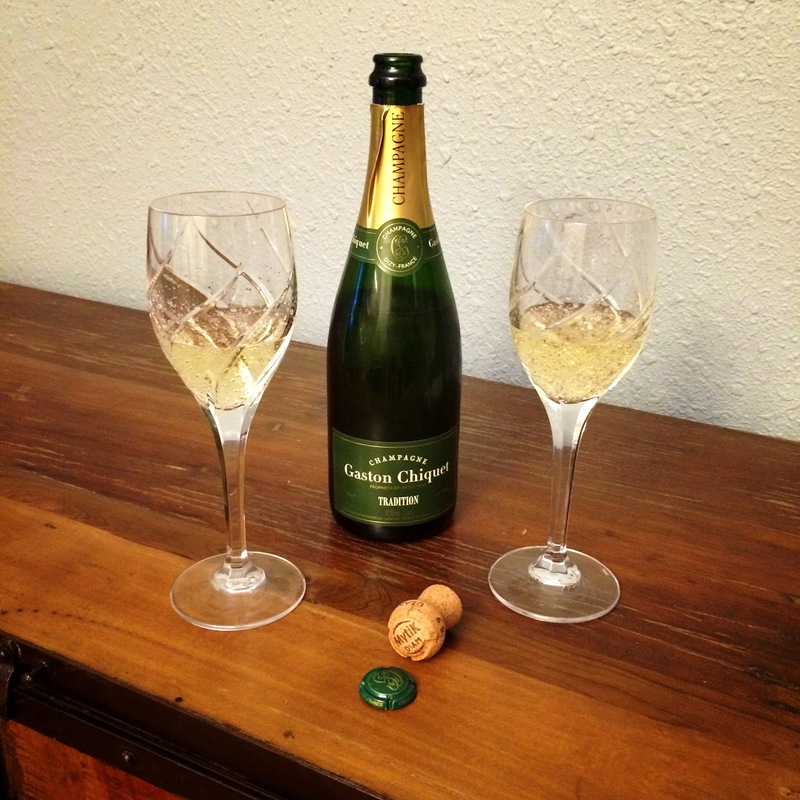 Our usual bottle of bubbly is Prosecco, procured from our favored wine shop for $7.49 a bottle. This year we decided to find out how the other half lives. We spent all of $45 on this bottle, and honestly, we can’t really tell the difference. I’m sure a connoisseur could tell us the distinguishing qualities of the spendier bottle — its provenance from a particular region in France, its nose and flora — but to our unrefined palates, they’re mostly the same: sweet, dry, and fizzy. Still, it’s worth checking in periodically. Every once in a while you’ll find that you really do care about the differences, as we have with coffee and cheese. For now, we’ll stick to the Kirkland bubbly, and both our mouths and wallets will be happy.